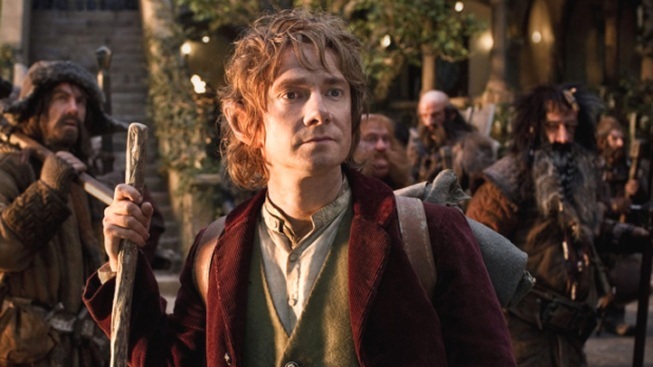 A Welcome Change of "Hobbit"
Peter Jackson's gutsy decision to extend Bilbo Baggins' adventures to three movies gives him a chance for an unprecedented Ent-sized success – or failure. We're in for a triple serving of "The Hobbit." Peter Jackson's decision to extend "The Hobbit" to three movies easily could be seen as a Gollum-like move fueled by greed and an unwillingness to give up his precioussss hold on the J.R.R. Tolkien legacy. That his announcement this week follows moves to break the final chapters of the "Harry Potter," "Twilight" and "Hunger Games" sagas into two films likely will fuel talk that the Hollywood-defying "Lord of the Rings" trilogy director has finally sold out. But we're looking at the cinematic equivalent of a Hobbit's third breakfast as a gutsy choice that sets up Jackson for an unprecedented soaring Ent-sized success – or a bloated failure. Jackson seems less a Gollum than a Baggins – a reluctant, unlikely hero thrust into an epic quest against odds as steep as Mount Doom. He seemed happy enough to hand over the reins to Guillermo del Toro only to step back in after the director bowed out. Jackson, like Bilbo and Frodo, has a chance to make history, far beyond The Shire. But Hollywood offers cautionary tales. George Lucas' "Star Wars" prequel earned trilogy him the wrath of many of those with fanatical attachment to the first three installments. Some "Star Wars" fans, as best seen in the fascinating documentary "The People vs. George Lucas," feel as if they’re part owners and protectors of the original flicks. We suspect the sentiments are as strong among "Lord of the Rings" devotees, even if the franchises are different in key respects. Unlike Lucas, who created his own world with "Star Wars," Jackson is a master interpreter of existing source material who turned the "Ring" books into greats film – defying expectations among those who believed the novels couldn't faithfully be translated to the big screen. But "The Hobbit," of course, is only one book – and the lightest and least complex of Tolkien's "Ring"-related tomes. Perhaps Jackson's biggest challenge will be living up to expectations that have only grown since "The Return of the King" bowed in late 2003. Any hint of a letdown when "The Hobbit: An Unexpected Journey" debuts Dec. 14th could not only sink the prequel series but tarnish memories of Jackson's classic initial trilogy. Still, the lure of the ring is too strong to resist – for Jackson and for fans. Jackson has earned our trust. His new path for "The Hobbit" is a journey we're willing to take.